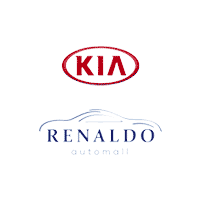 The Finance Center at Renaldo Kia in Shelby, NC, near Gastonia, NC and Gaffney, SC, makes finding an affordable loan or lease with low interest rates easy. You can get started right away by filling out an online finance application. Our team of professionals will look it over and be in touch quickly so you can drive home your new vehicle as soon as possible. We’ll go over all the fine print with you, from lease or auto loan options to interest rates and monthly payments. The last thing you need while purchasing a new vehicle is a headache while trying to pay for it. Our trained staff have been in your shoes before, so they’re always happy to answer your questions, explain the fine print, and assist you every step of the way. They have the ability to pair our fabulous incentives with excellent financing options, so you know you’re getting the best deal available. Many of our vehicles are already available with excellent specials, and to help make your dollar go even further, we’ll look tirelessly to find you the best interest rates possible. We want to help you keep monthly payments low, while still putting you in your dream car. You can even use great virtual tools like our payment calculator and trade in estimator to get a comprehensive idea of what to expect. After utilizing our payment calculator and trade-in estimator, make sure to fill out our online finance application. We’ll get in touch quickly, and you can always feel free to find us at 4425 East Dixon Blvd in Shelby, NC, near Gastonia, NC and Gaffney, SC, to visit with our staff and go over all of your financing options. We can’t wait to meet you!